The upstairs, reached via steep stairs, is essentially one room with a wall and door in the middle, giving privacy to the back bedroom, which has two twin beds and a small closet. All sheets, blankets, pillows and towels are provided. 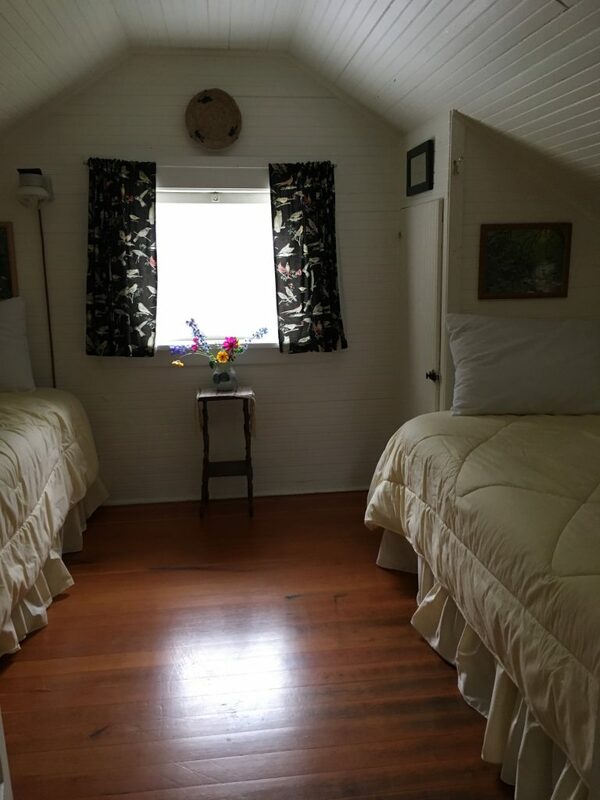 About the cottage: The cottage has three bedrooms, a living room, kitchen, small sunporch, bathhouse, and outdoor privy. 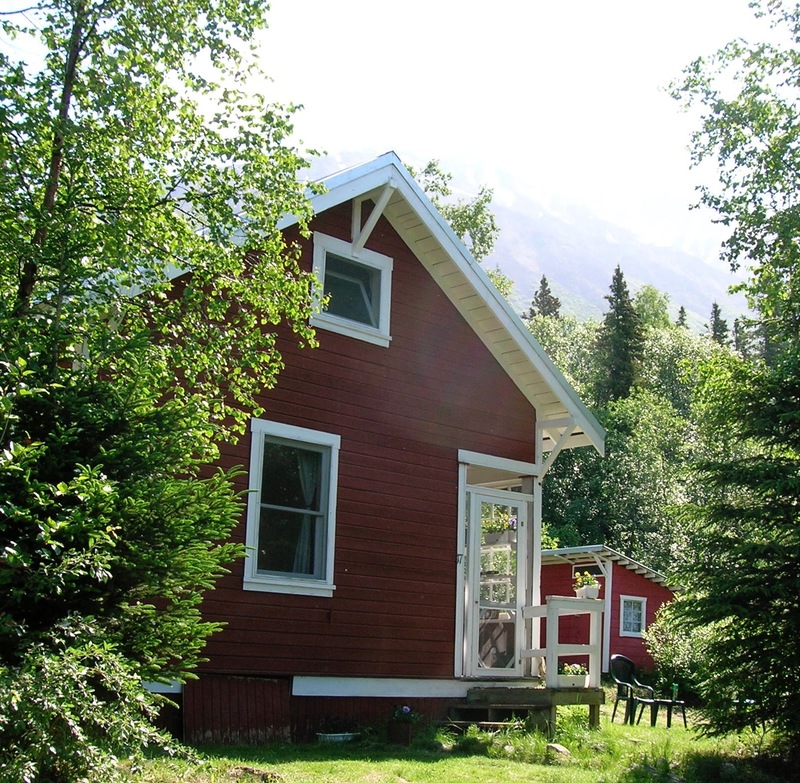 In this off-the-grid home, heat is provided by outside venting propane heaters while propane lights illuminate the house (though in the long summer days in Alaska lights are rarely needed!). Water is from a gravity-fed system. Because of our remote location, connectivity can be limited. Power is from a small solar electric system that supplies limited AC power for recharging devices. 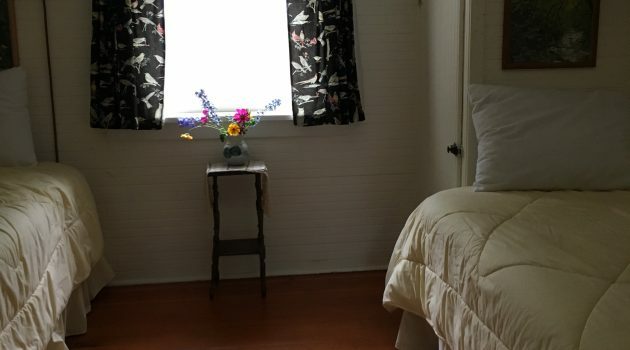 All guests have access to the living room, kitchen, sunporch, bathhouse and (of course!) the privy.